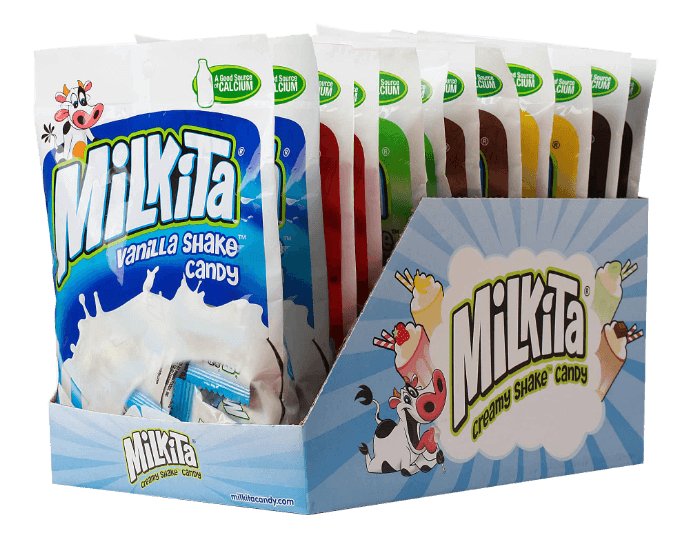 at school and everywhere in between, is your Creamy Shake Candy. that tastes like a kind of candy. get something that’s actually good for you into your body. Infused with four of our candies is your daily dose of calcium. Did we mention it tastes like CANDY?!! Eat candy and do something good for your body, too good to be true? See for yourself and give it a try!!! All Milkita products are certified by ISO 9000, 9001, 9002, HACCP, HALAL and recently graded “A” by the British Retail Consortium (BRC) for maintaining global standards of production and food safety.